You are here: Home / Our Blog / Uncategorized / At Childers Orthodontics, happy smiles are our specialty! At Childers Orthodontics, happy smiles are our specialty! Childers Orthodontics, serving Benton, Harrisburg, Herrin, Marion and all surrounding areas, has been receiving some great patient reviews lately! Check out what one of our current patients has to say about Dr. Childers and team! 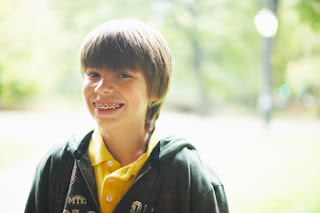 “My son just received his braces on Thursday 5-19-11. On Friday EVENING (of course) he complains that a wire had been poking him ALL DAY. I read through the information folder and tried using the eraser and tweezers to bend the wire. With no luck, I called the office and retrieved a cell number. When I called I was informed I could drive to the Benton office or try to clip the wire with wire cutters. We clipped the wire which seemed to help out. On Saturday we received a phone call from the employee of Dr. Childers just checking to make sure things were going okay. It was nice to know that someone was available AFTER HOURS to help us. Most things happen on FRIDAYS and/or the WEEKENDS!! !” ~Charles B.
https://childersbraces.com/wp-content/uploads/2017/01/smile.jpeg 371 640 DrCAdmin https://childersbraces.com/wp-content/uploads/2016/10/logo-childers-orthodontics.png DrCAdmin2011-05-25 22:55:002019-03-08 07:04:55At Childers Orthodontics, happy smiles are our specialty!